At times, too many choices can lead to paralysis by analysis. This is the case for anyone trying to decide on which online bookmaker or bookmakers with which to set up memberships. On the surface, and even well below, the similarities in websites, markets, margins, odds, or any of the other criteria you examine. In many of the above criteria, the differences are so miniscule as to be practically useless. Funding and withdrawal methods are typically extensive to the extent of overkill. Turnover, minimum account and wager size, margins and odds are also grouped together in a fairly narrow range. There is one primary difference that may bring weight to bear on the decision of which bookmakers to use when overseas and that is the presence or absence of online wagering on live markets. If this type of wagering is essential, it will necessitate having an account with an international agency that is not hampered by the constraints of the Interactive Gambling Act. One of these international bookmakers is Betrally, and we propose here to supply some information for anyone who can take advantage of it. This bookie can not be used in Australia but can be used if travelling abroad. The government of the Caribbean island of Curacao licenses Betrally. It got up to speed in 2013. Betrally is owned by ZapZap Marketing Ltd, based on the island of Cyprus. The banking functions of the agency are under the auspices of Comfortlink NV, which is in Curacao, and is the same holding company that handles the banking for international bookmaker 10Bet. The websites are based on the same software, but vary in appearance, although not to the extent than anyone jumping from one to the other would be lost in transition. In Australia, 10Bet operates under the name of CrownBet and offers international and domestic thoroughbred horse racing, harness racing and greyhound racing, but sacrifices live online betting. 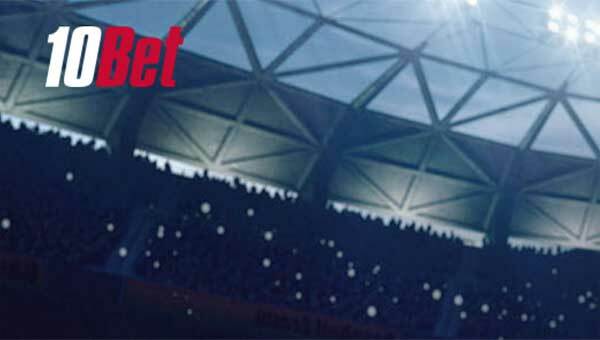 10Bet does support racing as well as online live betting, but from what we could determine, it is limited to England, Scotland, Ireland and Wales, plus one event in France. Betrally does not offer any racing markets. Obviously, the primary feature and attraction of a membership with Betrally is the ability to place bets online for live events, as opposed to the shackles under which the domestic agencies operate due to the IGA. They do offer first deposit bookmakers bonus bets. On their website, an offer of a match of up to 50 percent of up to 50 euro (about $75 AUD) of the initial funding is available. Unlike the first deposit bonus of the domestic bookmakers, which is typically so limited geographically as to render it moot, everyone is eligible for Betrally's bonus. The fly in the ointment here is that the bonus comes with such a high five times turnover requirement that many new member might choose not to use the bonus code when enrolling. Also worth noting is that according to the Terms and Conditions on Betrally's website, the bonus is not added to the punters account until the initial deposit has turned over once. Paragraph 47 specifies that the bonus must be used on markets with odds of 1.6 and greater, and paragraph 48 states that in order to withdraw a bonus, the bonus amount must be turned over 10 times. Turnover with Betrally on deposited funds is still three times if a punter desires to avoid a fee. High turnover is something that might make the casual, occasion punter take pause, unless the allure of live online wagering overrules this consideration. We counted seven different ways to deposit funds with Betrally with minimum deposits ranging from five to 20 euro. All of them were free from Betrally's side and all except bank transfer offered instant processing time. There were six ways to withdraw, with processing times ranging from one to seven days and having minimum withdrawals of five to 25 euro, all free of charge. Punters are given one free withdrawal per month. Bookmaker margin averaged six percent, over one percent higher than the average, and frequent punters are always by necessity seeking the lowest margins, for obvious reasons. Paragraph 13 of the Betrally Terms and Conditions states that the minimum wager is one euro. We have seen this minimum stated elsewhere as one of the chosen currency unit. We found no mention of a dormant account fee in Betrally's Terms and Conditions. They listed seven promotions at the time of this review. One was the first deposit bonus mentioned earlier. Another was a limited time promotion pertaining to the U.S. Open Tennis Tournament. The third was dedicated to the new seasons of various soccer leagues. There was also a winnings boost promotion for combination soccer bets. Virtual Sports had a promotion attached, but our preference for real sports prevented us from even looking at that one and the one related to the casino offerings of Betrally was of no interest due to regulatory considerations. The most interesting of the bunch was the Early Cashout, with the opportunity to take a percentage of any winnings prior to the conclusion of an event. Interesting, that was, until we looked at the Terms and Conditions that accompanied the promotion. The wagering interface is attractive, loads quickly, has the familiar three-column layout that makes navigation efficient and has a betting slip that is totally functional. There are close to 30 links in the left-most column for selecting sports. We found limited footy markets, basically head-to-head and a few specials, whereas a domestic bookmaker would have hundreds. Comparing Betrally's odds to those of Sportsbet for the upcoming finals, we found Sportsbet marginally better for all four games in head-to-head markets. We had one minor issue with the navigation aspect of the website. When we clicked Aussie Rules, we were required to go to an intermediary page where we had to select the league we wanted to view before we could go to the page displaying the odds. Being an international company operating in hundreds of countries, you would expect Betrally to support soccer deeply, which it truly does. Our odds comparison to Sportsbet versus Betrally for the English Premier League favoured Sportsbet, but Betrally probably offers considerably more leagues, so choose your path accordingly. We took a close look at Betrally's mobile operation in a separate review, so all we will say here is that it is a nice set up for anyone who wishes to avail himself or herself of live online wagering. All devices are supported by a mobile version of the primary website, which means no downloading, no installing, and no granting of disturbing app permissions. In our opinion, Betrally is worth considering as an agency to supply live online wagering. All other considerations take a rear position to that one. Anyone who can do without racing and can accept the turnover and slightly inferior odds would make good candidates for a Betrally membership.